Mum of Five Staying Sane: Reconnecting with our gNappies journey. New prints available. Plus updating some old gNappies photographs. Reconnecting with our gNappies journey. New prints available. Plus updating some old gNappies photographs. Last year I used gNappies cloth nappies for Thing 5. 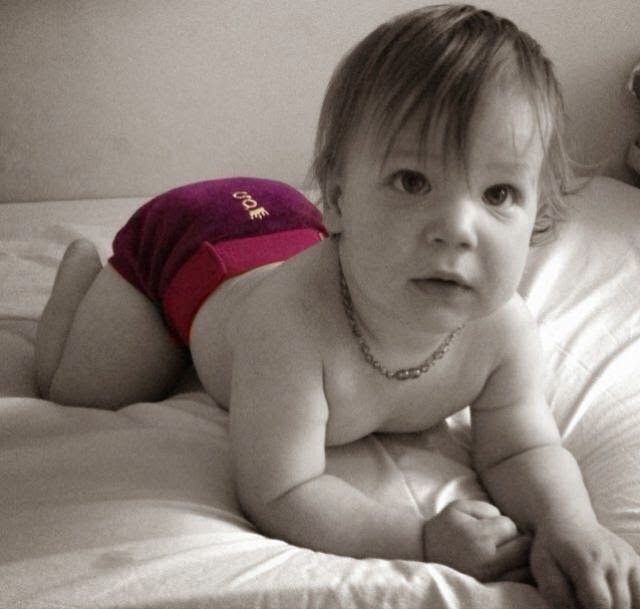 They were the first cloth nappy that I had tried that I really got on well with. No leaks! The gNappies system is really easy to use and they come in four sizes. Small (8-14 lbs), Medium (13-28 lbs), Large 22-36 lbs) and a few select colours in Extra Large (34 lbs plus). 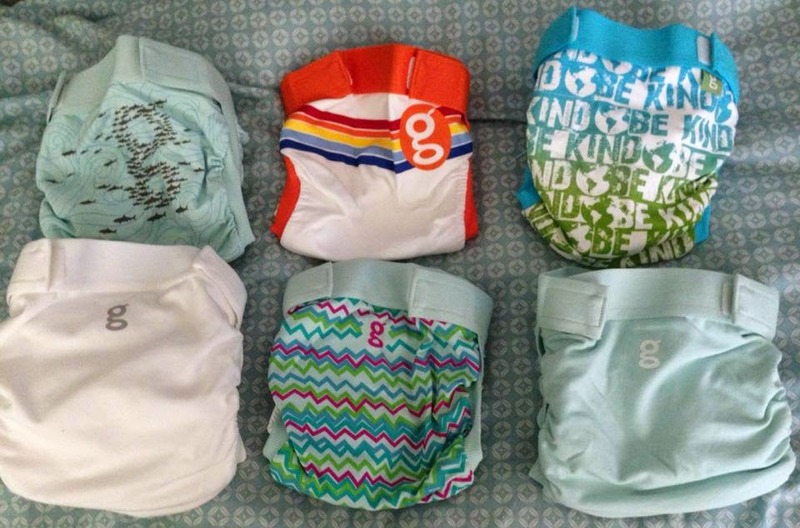 Each nappy comes with a pouch and the outer fabric nappy cover. You then put your inserts in the pouch. GNappies sell both reuseable and disposable inserts. The wet disposable inserts are also compostable. Just grab your fabric outer cover, snap in a pouch, pop in your inserts and you're away. So last year we were 100% cloth and then, I must admit, I just got lazy. I reverted to disposables. The OH was never really the supportive one when it came to the cloth nappies. Sometimes a little grumble was heard when he had to change a nappy and then take it to the bathroom to sort rather than just throw it away. So with that and the fact that I had seven peoples washing to do as well as the nappies I kind of slipped into using disposables again. So here we are again back to the cloth nappies. I chose to stick with gNappies as they worked well for us and I am loving the new styles that have recently been added to their collection. I have purchased Larges for my 21 month old son and we are almost ready to go. I have just searched out and bought some inserts which are suitable for a heavy wetter! gNappies new colours and patterns that have recently been released are Go Big, Gamma, Gauze White, Great White shark, Gulfstream green, Groundhog, Good Natured and Gingham Girl. These styles are sold alongside their range of block colours that are also available. Gamma and Go Big also have matching baby legs, Gingham Girl has a matching dress and Great White has a matching t-shirt. My most recent gNappies purchases. Top row (l-r) Great White shark, Go Big, Good Natured. Bottom row (l-r) Gauze White, Gamma stripe and Gulfstream Green. All currently available from the gNappies website. 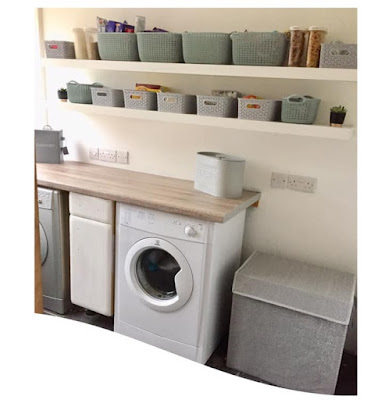 They also have a fab and vast range of various styles and colours from previous collections which, if you can search them out preloved, are well worth a look at as they are gorgeous too. We are ready and perfect timing too. 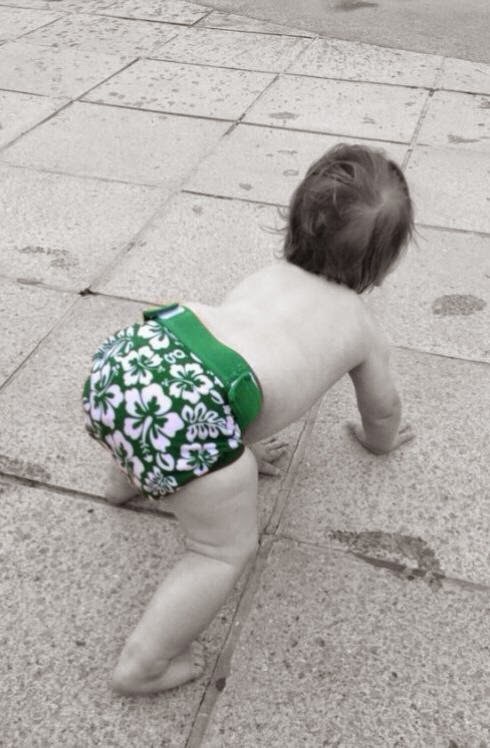 Summer (ish) is almost here in the UK which means we can see a washing line full of drying nappies, baby gets to flash his fluff because it's warm enough to and no stinky nappies filling up the bin outside. Win, Win, Win! !